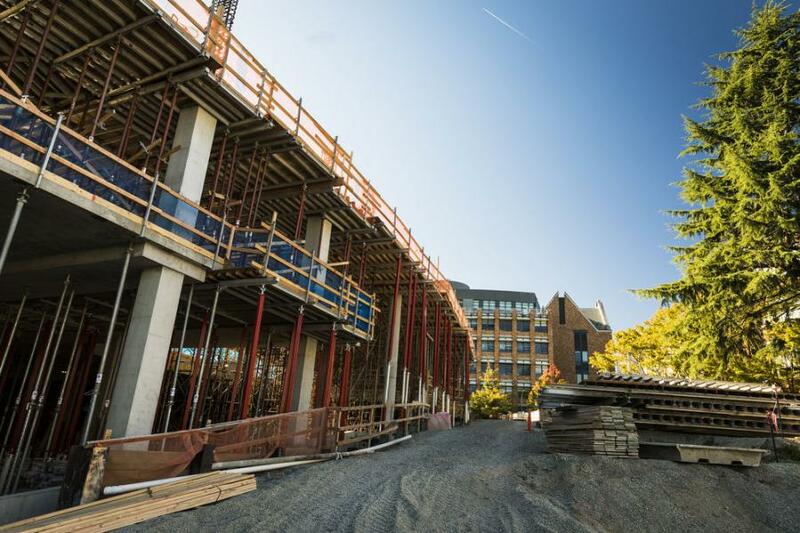 Construction on the new Bill & Melinda Gates Center for Computer Science & Engineering at the University of Washington Seattle campus passed the halfway mark in March and is on target to be completed by the end of 2018. 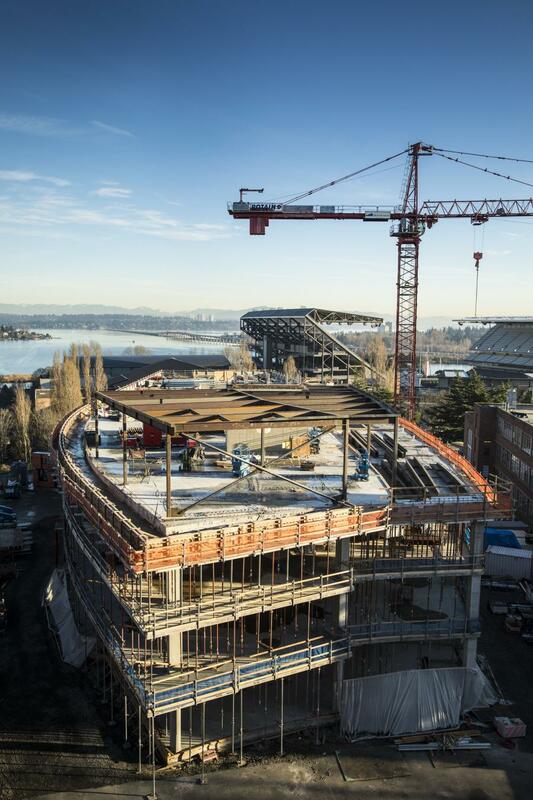 A dedication is planned for early 2019, according to UW News. The $110 million, 135,000-sq.-ft. facility will feature new instructional and collaborative spaces, expanded research labs, a 250-seat auditorium and a flexible event space, as well as a 3,000-sq.-ft. robotics laboratory, wet lab space to house the school's “leading-edge research in molecular information systems,” and an undergraduate commons that will serve as a “home away from home for students.” It is being funded through public investment and private donations, including $30 million raised by “Friends of Bill & Melinda,” and $15 million from the Gates themselves. 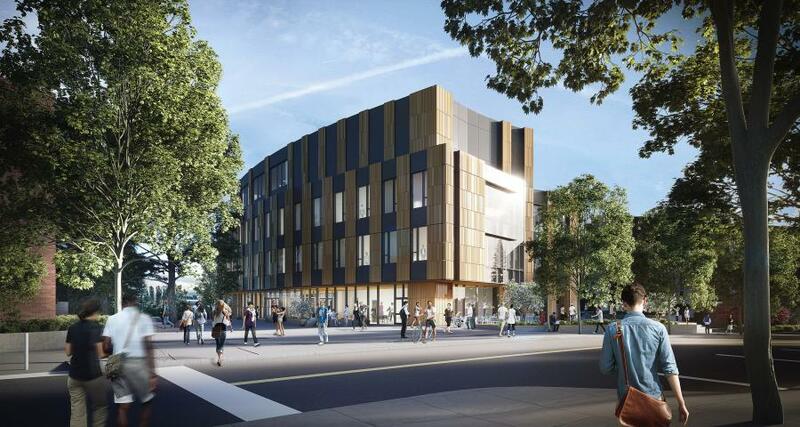 “The idea is that the new building [Bill & Melinda Gates Center] and our current building [Paul G. Allen Center] will complement each other and be part of one unified complex housing,” said Kristin Osborne, spokeswoman of the UW Seattle campus. The buildings face each other on either side of E Stevens Way NE on the University of Washington's main campus.